SureCoat Systems has conducted and documented actual BUR roof case studies that prove the ASTM testing showing 93% thermal emittance is accurate. SureCoat will reduce roof temperatures. 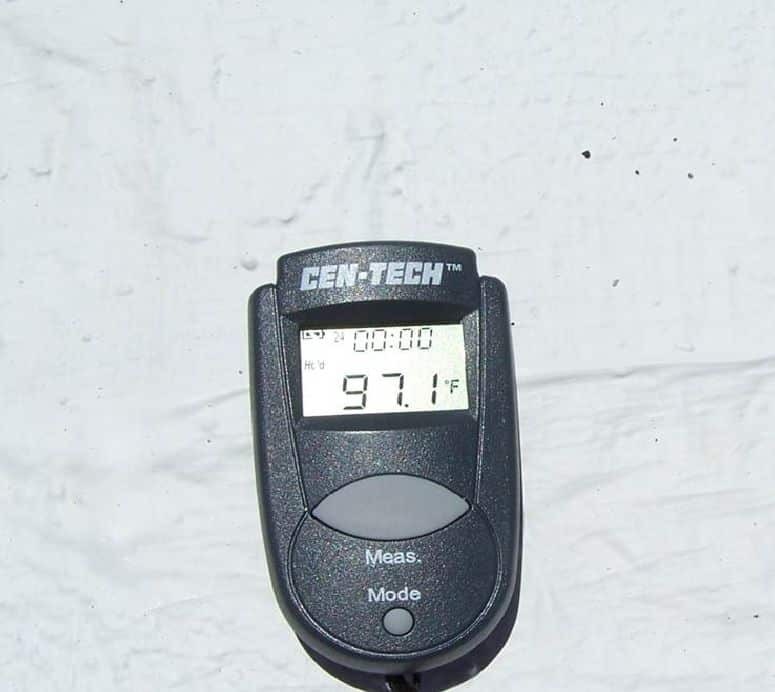 On a day that had an ambient air temperature of approximately 88-90 degrees in the city of Fullerton this uncoated Built Up Roof (BUR) was 141.4 degrees Fahrenheit. This same area was reconditioned with The SureCoat Roof System and then retested at 97.1 degrees; that is over 44 degrees cooler. The SureCoat Roof System emits 93% of the heat that hits it back into the atmosphere, leaving only about 7% for potential heat transfer. Depending on other factors such as insulation, building materials, building design, and age, the amount of heat that makes it into the space below is greatly reduced. The radiant heat effect is also minimized, to almost zero with The SureCoat Roof material. Since the SureCoat System material does not hold heat, the heat emitted before it could travel laterally. SureCoat Systems conducted another study on a metal roof located in the desert area of California. Although desert summers can reach very high temperatures, the ambient air temperature was only 70 degrees Fahrenheit. The temperature on the roof was already 104.3 Fahrenheit. 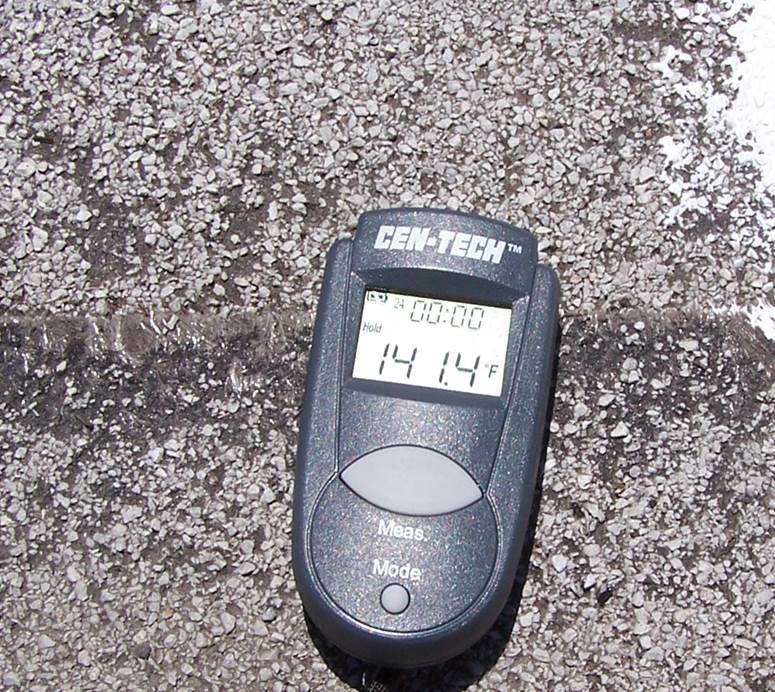 After the SureCoat Roof System was installed the roof temperature was reduced to 71.6 degrees Fahrenheit. CLICK HERE to view Metal Roof Case Study results.